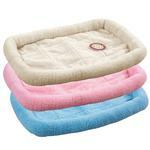 Give your pet a restful experience with the supportive Slumber Pet Sherpa Crate Bed in Baby Pink. Posted On 01/08/17 by Gary K from Harrison Twp, MI Yes, Gary K recommends this product! Fits the crate very well. The side bolster is a very good height. Posted On 01/19/16 by N Loy H from Honolulu, HI Yes, N Loy H recommends this product! My little pup loves the slumber pet sherpa crate bed. She was raised on one. They are soft and not too bulky...more like a mat. Sooooo, I got an additional one to put in her 'carriage' for my long walks as she likes to ride a lot of the time. Posted On 11/26/14 by Laurie P from Washington, MO Yes, Laurie P recommends this product! I bought my dainty little Princess, Maya, a pink one for her crate. She looks like royalty when she laid down on it! It looks beautiful and she just loves it! Her opinion is what really counts in my book! Posted On 11/08/13 by Chris M from Greenfield, IN Yes, Chris M recommends this product! 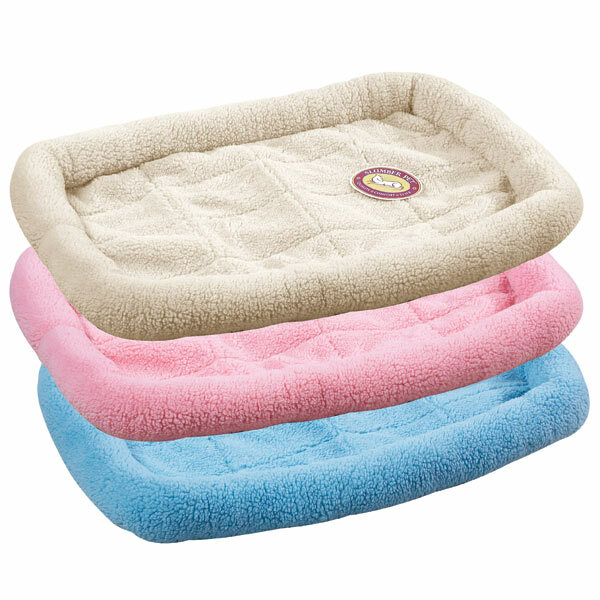 I love these for travel, I do agility and obedience and these fit great in the car and travel crates, super easy to wash and soft and comfortable for the dogs.